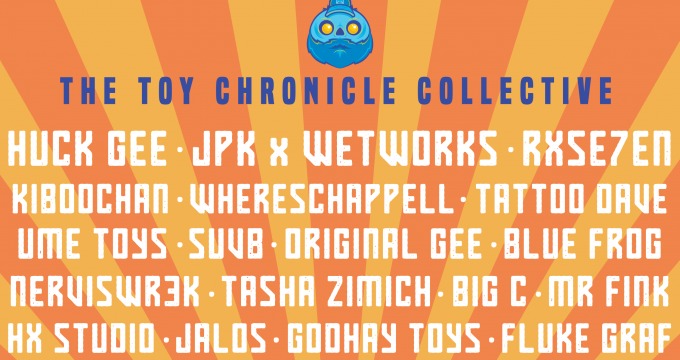 The Toy Chronicle Collective at ToyConUK – Headlined by Huck Gee! Tonight – Vinyl Thoughts Art Show 6 – Cinematic! Gary Boon Re-Invents The Mighty Uprock Animals! Project Bohna Skully is Here!